With Spain being one of the top destinations for expats, have you considered the tax implications that are required and, how sufficient wealth advice can help? Under the current rules, you are liable for tax in Spain on worldwide assets if you are here for 183 days or more. This still applies even if you have not registered as a resident. Fines can be issued should you not declare all your assets. Like most expats, the thought of having around 300 days a year of sunshine, great food and very good work-life balance, many expats still fail to take appropriate financial advice before and after moving. As with many expats who already reside in Spain, there is a requirement to complete a Modelo 720. This form must be completed by the expat and returned to the local authorities. Spain’s current tax year runs from January 1 st to the 31 st December. All assets worldwide must be declared on the Modelo 720, this will include pensions, savings, investments and property just to name a few. Spain signed a double taxation agreement with the UK in 2006, therefore assets that are taxed in the UK, will not be taxed in Spain. 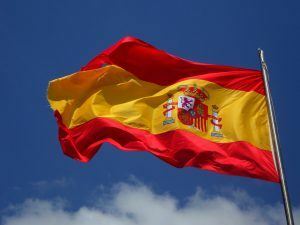 Spanish capital gains tax rules are not straightforward. Typically, Spanish tax residents are required to pay capital gains tax on the disposal of any worldwide assets. However, non-residents are required to pay Spanish capital gains tax on gains made by the sale of any Spanish property. With specific regards to the sale of property, there are many deductions and calculations which are required to understand when calculating the final gain for tax purposes. You should always seek qualified advice from a tax adviser who has full knowledge of the Spanish tax system before submitting any tax return in Spain to avoid penalties or fines. Since 2008, the Spanish government has introduced, removed and reintroduced the wealth tax which is a tax designed specifically for people who hold significant worldwide wealth, but are resident in Spain. The tax amount is calculated against the declared worldwide assets held after a tax-free allowance of €700,000 is applied whether resident or non-resident in Spain. You are also allowed a further €300,000 in property allowance, if a married couple, each is allowed the allowance of €300,000 for the property. Each of Spain’s geographical areas have different variations to the tax rules on wealth tax. If we look at southern Spain for instance, wealth tax can be applied up to 29.75%. For further information on tax advice, implications and suitable products that can benefit yourself, contact Harrison Brook. Our advisors will be happy to discuss your needs now and in the future.